Is this “on the record?” A guide for executive interviews. Business executives are often pressed into service to speak to reporters about high stakes business issues. This can be part of a sound strategy to set the record straight and communicate with primary audiences. After all, the chief executive is where the buck stops and often a company’s most credible voice. However, it’s a dangerous proposition if the executive doesn’t understand the ground rules of the media road. The ground rules are often the most talked about part of our media training sessions. Before engaging any reporter the executive must understand the difference between “on the record” and “off the record” and everything in between. Here’s a rundown of the ground rules for speaking with reporters. On the record – Everything said to a reporter is just that, “on the record.” The reporter is free to report everything said with direct attribution to the executive spokesperson. This is the most desired situation for the reporter because he or she can substantiate their reporting with direct quotes. Additionally, most editors and publishers are demanding on record quotes because they make a far more credible news stories. In this day of so called “fake news,” the media are fighting to protect their authority as a trusted source of news resulting in greater transparency. Off the record – None of what is said can be used in anyway in any news story by the reporter. Reporters hate “off the record” because what is said to them is pretty much useless. There are a couple points that all interviewees must be aware of before attempting an “off the record” discussion with a reporter. First, and this is vitally important, “off the record” cannot be claimed retroactively. This is a classic mistake. The spokesperson, while engaged in an interview, provides a great deal of information and then says, “…but that is off the record.” Nope. “Off the record” must be established and agreed to by the reporter in advance of what is said. On background – Everything said to a reporter can be reported, but there is no direct attribution to the spokesperson. 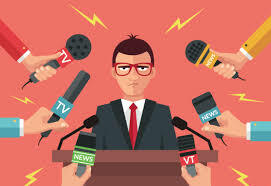 Spokespeople often choose to go “on background” because they might not be authorized to speak on the record or for other reasons wants to shield the source of the comments. Quotes “on background” can easily be recognized in stories that include quotes from unnamed sources. For example, you might see something like this in a news story: “The president was very upset about coverage in the mainstream media,’ said a White House source.” This quote is attributed to an unnamed source but the reporter tells you he or she works in the White House, which would suggest the person has direct knowledge of what the president said. There are different levels of attribution. Reporters, and their editors, want to describe the source as specifically as possible. Attribution such as “a White House source” is pretty vague, while “…according to ‘a member of the president’s cabinet,” is much more specific. Attribution is also something that must be clarified and agreed to by the reporter before the interview starts. Over the past year several executives accused of wrongdoing have stepped up to the mic and completely bungled their apology making their situation in most cases far worse. In recent months the blunders have come fast and furious. We’ve heard a string of poorly executed apologies (in some cases, excuses) among powerful men accused of sexual harassment such as Harvey Weinstein, Kevin Spacey, and Charlie Rose. Companies such as Apple, Equifax, and most recently Starbucks have been criticized for not adequately addressing corporate shortcomings. The poster child for botched apologies remains United Airlines. You’ll remember in 2017 when a passenger was violently dragged from a plane. The passenger, Dr. David Dao refused to give up his seat on the overbooked flight from Chicago to Louisville, Ky because he had patients to see. Video of the incident went viral and was covered in a continuous news loop over a two day period. In his initial statement, United CEO Oscar Munoz was unsympathetic to the passenger and made no mention of the actions by his employees to have the passenger removed by security. “This is an upsetting event to all of us here at United,” he said. “I apologize for having to re-accommodate these customers.” Using a robotic and sterilized word like “re-accommodate” in an emotionally charged situation backfired on Munoz and incited further backlash against he and the airline. Soon after releasing the apology he sent an internal memo to employees saying that the United employee’s actions were “necessary” and that he “emphatically” stood behind them. The letter was immediately leaked to the media and public outrage raged on. The next morning Munoz tried once again to get the apology right. The words were powerful, seemingly sincere, and appropriately addressed the “horrific event.” Munoz took “full responsibility” and promised to make positive changes. It’s a very good apology but so much damage had been done and was made worse by the initial response. The damage was done and made worse by blunders in the C-suite. Tuckahoe Strategies has counseled clients for many years that the most effective way to make an apology is to do these three simple things: say it first, say it all, and, say it yourself. 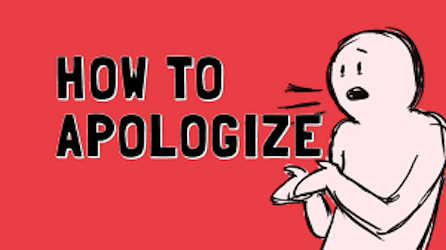 Here’s how to get the apology right the first time. Say it first – In a crisis, silence is a killer. The executive or company found to have committed wrongdoing must be first to speak and make the apology. This allows the executive to take control of the narrative, which provides the best chance for a positive outcome. Those who wait, allow the critics the first shots to damage the reputation of the executive and possibly the entire company. Speaking first can be the difference from playing offense or defense…and its always best to be on offense. Say it all – In apology situations, there really is only one shot to get it right (if you are apologizing for a second time then something has gone terribly wrong). The apology should attempt to put the matter to rest and should not raise additional questions. It should be a turning point where the focus shifts from past infractions to positive changes coming in the near future. The apology should take full responsibility for the wrongdoing without any equivocation. Finally, in the spirit of saying it all, if there are remaining issues that have not yet been reported by the media but soon will, it’s usually a good strategy for chief executives to get ahead of it and reveal the information on their own terms. Say it yourself – When the business is on the line, when there is one chance to get it right, it’s time for the apology to come right from the horse’s mouth. That often means the CEO. Some are reluctant to utilize the CEO in crisis situations but in the day and age of social media and instant news cycles people want to hear directly from the boss. Doing so can demonstrate sincerity, transparency, and commitment to addressing the problem. The American public is remarkably forgiving. They tend to go back to business as normal once they are reassured that issues have been explained and resolved. But that is less so when companies fail to be sincere and don’t address issues moving forward. Are you prepared to manage a crisis? 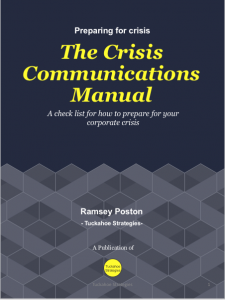 Download the crisis communications manual to get answers now.